These styled boards for director Roman Rütten explore abstraction as the CAMera enters the eye. Color added in photoshop can help to communicate something intrinsic about a product. Style, design and framing can help develop a story. Action drove the story in this stop-motion sequence. Lovingly sweet drawings of filth, scum, and bacteria for director Nico Casavecchia. 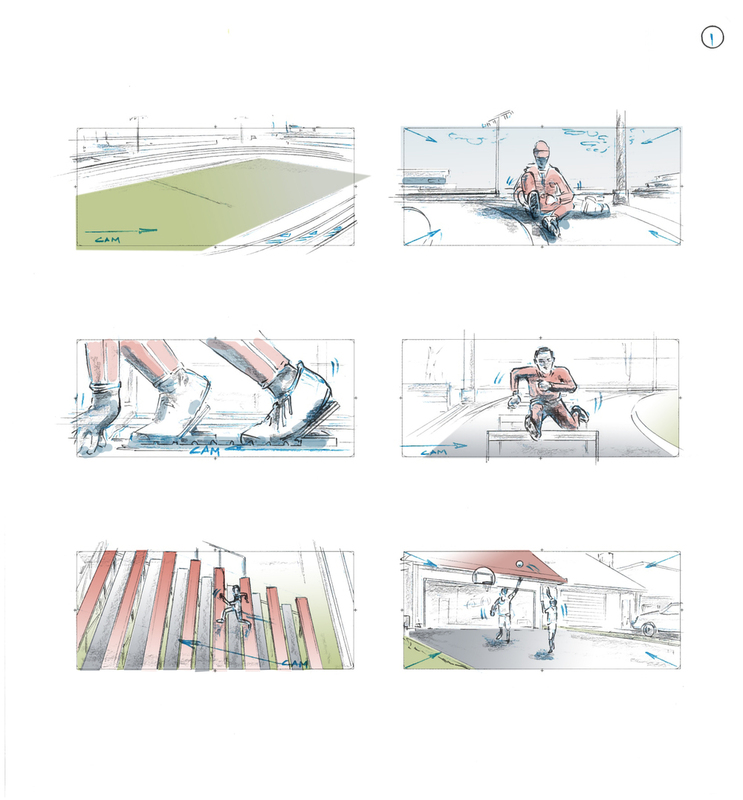 Thumbnails are quick, small sketches that can later be developed into full storyboards. Color added to thumbnail sequence. Aspect ratios vary by project. Film projects usually require a wider format than TV spots. Establishing shot for a Disney movie opening sequence (Queen of Katwe). Concluding frame for a Disney movie opening sequence (Queen of Katwe). 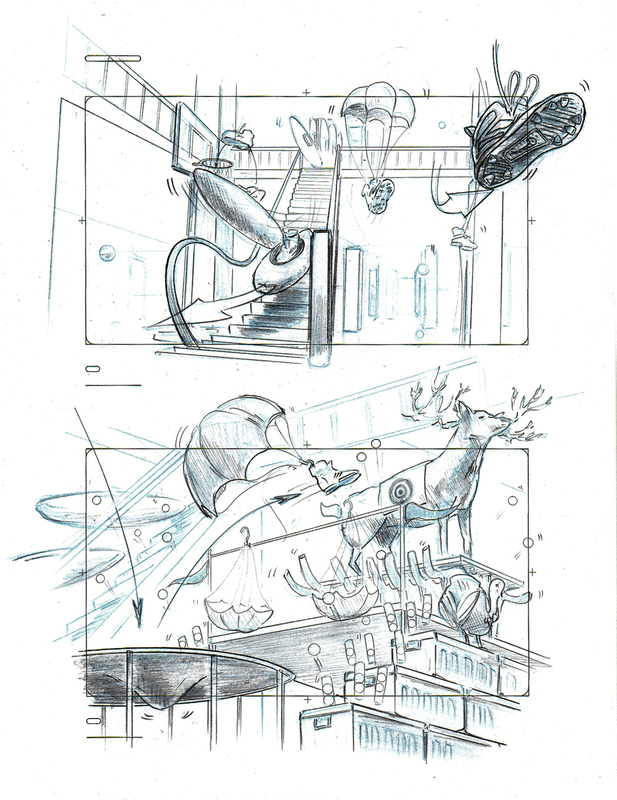 Action sequence boards for a commercial directed by Rupert Wyatt, director of Rise of the Planet of the Apes. Narrative pencil board in long aspect ratio / frame 1/2. Narrative pencil board in long aspect ratio / frame 2/2. Close Up (CU) frame with added graphics.